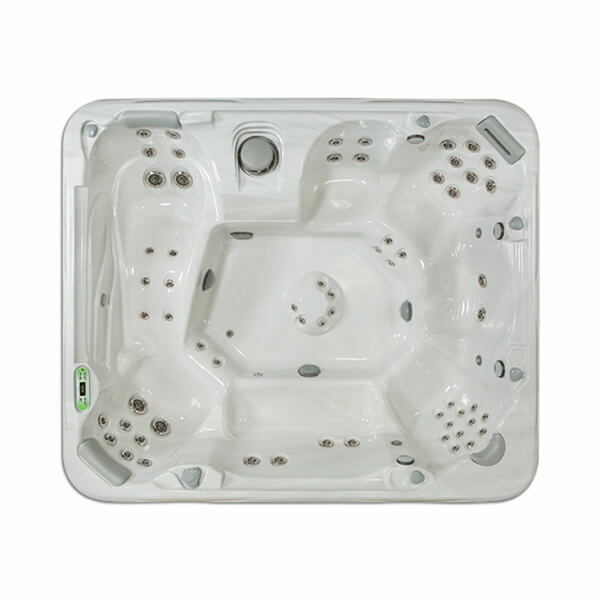 The 965L is the newest and largest South Seas Spas model. Enjoy this spa with up to 8 of your friends and family. The optional stereo system includes 4 marine grade speakers that are inset into the spa creating the optimal audio experience. A 65 jet configuration provides hydrotherapy luxury.